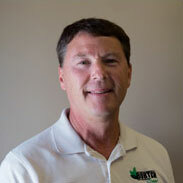 Mike Burtch is involved in sales and administration for Burtch Seed with over 30 years of seed related experience. Mike started his career with Burtch Seed in 1979, and throughout the years he has been involved in all aspects of the business, continually expanding his knowledge of seed production and sales. Mike works closely with seed breeders in selecting the best varieties to fit our customers needs. Mike and his wife Missy, who is involved with the administration of Burtch Seed, have a daughter, Ansley. 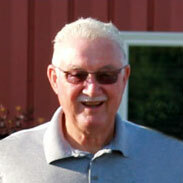 Ed Burtch began working in the family business in the seed cleaning and packaging area in the late 1970’s. Learning the business while acquiring an understanding and working knowledge of what it takes to run a progressive seed company. Ed now handles the contract seed production, distributor accounts, new projects and sales. Ed’s wife Misti, son Eddie (3rd generation Burtch Seed employee), daughters Claire, Haley, Brooklyn and young son, Beckett, are his true passion. He enjoys watching all types of sporting events and traveling. Ed currently serves as President of Burtch Seed Company. Eddie Burtch is a third generation Burtch Seed employee. In 2007, as a junior in high school, he started working full time in the business sweeping floors and bagging seed; now, he works in distributor sales. In 2017, Eddie will graduate from Wright State University-Lake Campus with an Associate of Technical Study degree in Agriculture. He enjoys sports and being with his family. 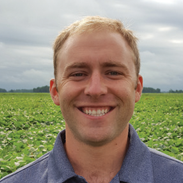 Nicholas Hayes is a 2007 graduate from The Ohio State University with a Bachelor of Science degree in Horticulture with an emphases in Turf Grass Management, and minoring in Agri Business. 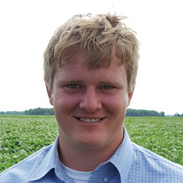 Raised on a family farm and actively involved in the grain farming operation, Nicholas has the knowledge and experience to help you with your agronomy needs. Mitch Sudhoff is a 2013 graduate of Wright State University Lake Campus with a bachelor’s degree in applied science in agriculture. He grew up on a family farm in southern Mercer County where they grew crops and raised livestock. Mitch has many years of knowledge and experience in the agriculture industry. Darrell Sheppard graduated from Purdue University in 1967 with a Bachelors of Science in Agricultural Economics. Since then he has acquired over 40 years of experience in the seed industry. 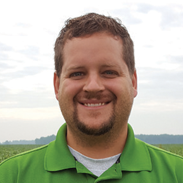 Darrell is a licensed Certified Crop Advisor, and is certified by the Ohio Department of Agriculture for pesticide and fungicide application. Along with providing agronomic advice, Darrell does on farm consultations and assists with sales. 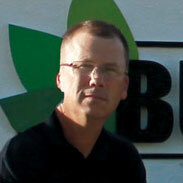 Eddie Burtch is a third generation Burtch Seed employee. In 2007, as a junior high school student, he started working full time in the business sweeping floors and bagging seed; now, he works in distributor sales. In 2017, Eddie will graduate from Wright State University-Lake Campus with an Associate of Technical Study degree in Agriculture. He enjoys sports and being with his family.